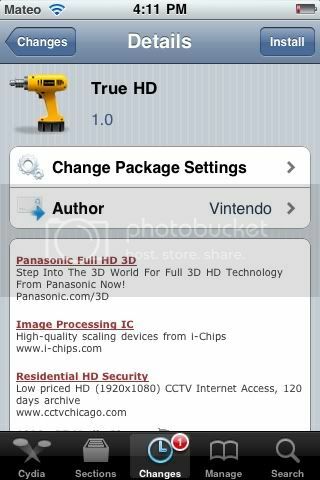 New tweak in cydia, TrueHD, will enable your iPhone 4 to upload videos to Youtube, MobileMe in 720P. This has been tested on IOS 4.1 through 4.3.1. Larger uploads will be longer though because its a larger file size. No new Icons are made on the homescreen and you can change the cofiguration in the settings.app.